Valentine's Day Coachlicious #Giveaway - #Win a Coach Handbag! Ends 2/14! Open Worldwide! Red Hot #Blendtec #Giveaway Ends 2/12! Have you always wanted a fantastic blender such as a Blendtec but the price made you shy away? Enter to win a Blendtec blender below! Seeing Double! Keurig Vue V700 EventIt has been so cold here in PA and around the country lately but you can easily warm up by entering to win a Keurig Vue and brewing hot coffee and other hot drinks at home! Hosted by Mom To Bed by 8 and Donna’s Deals and More Brew with a Vue. Keurig has done it again with an entirely new brewing system that gives you more of the tasty beverages you love, exactly the way you want them. Now, you can decide how strong you want your coffee to taste and how hot, no matter how big or small your cup is! From creamy hot chocolate to delicious iced teas and frothy cafe beverages, the Keurig Vue V700 delivers the size, strength, and consistency you love, with every single-serving. 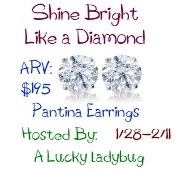 Shine Bright Like a Diamond Giveaway Ends 2/11! Want a pair of earrings that look just like real diamonds? Every woman deserves a pair! Enter to win a fabulous pair below! Enter for yourself or for a gift! Give Him Some Giveaway Ends 2/15! Bloggers Wanted! It's Raining Money Giveaway Event - FREE! Bloggers Wanted! Little Tikes Cook n Grow Giveaway Event - FREE! 5 Shopping Tips - How to Best Maximize Online Shopping! applied before you check out. you’re not shopping through a cash back site, you’re throwing money away. Do you love online shopping as much as I do? Then here are just a few hot online coupons for this week from CouponCactus.com! Melissa & Doug Deluxe Kitchen Giveaway Ends 2/10! Welcome to the Melissa and Doug Deluxe Kitchen Giveaway and two runner up winners of $50 worth of products sponsored by Melissa and Doug, Hosted by Plum Crazy About Coupons, Mom to Bed by 8 and Espacularaiesa. A special thank you to all the participating blogs. Nook HD Giveaway Ends 2/3! With tons of apps, books, movies and more, how could you go wrong with this tablet? The Nook HD has it all and you can enter to w in your very own below! Bloggers Wanted! 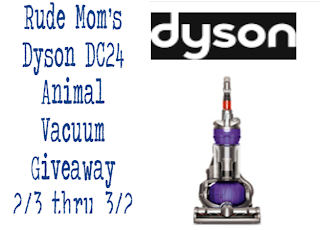 $350 Melissa & Doug Gift Card Giveaway Event! Bloggers Wanted! Melissa & Doug Deluxe Kitchen Play Center Giveaway Event! Free Blogger Opportunity for Melissa and Doug Deluxe Kitchen Play Center Giveaway. Hosted by Plum Crazy About Coupons. Dates: 1/20 - 2/10 Retail Value - $249.99. Sure to increase your numbers. 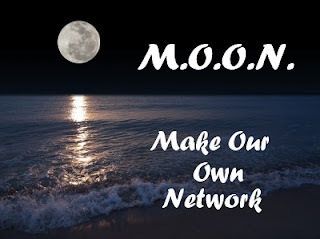 Free Facebook or Twitter with announcement post found here or pay $5 fee. Free Facebook Links will be on Rafflecopter Host Pages (so no farm pages) Host pages $10 for Facebook Rafflecopter and Twitter pages. Payments sent to xplumcrazeex2003@yahoo.com as a gift! Referral prize of $25 Paypal to the blogger who refers the most bloggers. SIGN UP HERE! 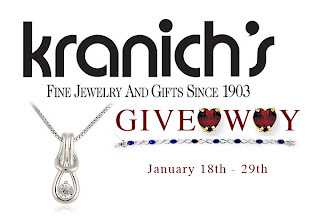 Kranich's Jewelry Giveaway Ends 1/29! Think Valentine's Day or any day and enter to win a choice of jewelry pieces from Kranich's Jewelry! Enter via Rafflecopter below. Giveaway ends 1/29 at 11:59 pm eastern. Sponsored by Kranich's, and hosted by S.O.S. Mom, Real Momma and The Bunny's Reviews, one lucky person will win his or her own choice of one (1) piece of jewelry from a selection of dazzling and gorgeous earrings, bracelets, rings, necklaces and watches! Prize is valued at up to $150. All choices can be viewed via the following link here. There is a referral prize of $25 Paypal! Do you love to read? Enter below to win a $150 Barnes & Noble Gift Card from TipHero. Giveaway ends 1/30/13 at 11:59 pm eastern time and is open to US and Canada residents who are 18 or older! Gift card will be delivered electronically. Enter using the PromoSimple form below. Powered by PromoSimple. Disclosure: I received no compensation for this publication and Just the Two of Us and Deals is not responsible for prize shipment. Bamboo Luxury Sheets Giveaway Ends 2/16! There is nothing like brand new sheets...well, maybe..Enter to win a set of fabulous bamboo luxury sheets! You will never want to leave your bed again! Mobile Rewards $200 PayPal Giveaway Ends 2/15! Everyone could use some extra cash after the holidays etc so enter to win $200 cash below! Ten Thousand Pennies Giveaway! Ends 1/27! Disclosure: I received no compensation for this publication. My opinions are my own and may differ from those of your own. Just the Two of Us and Deals is not responsible for sponsor prize shipment. Event Organizer: Baby Costcutters ~ please contact with questions or to see your business or blog featured on the next big event! Quick and Easy Dinners with Minute Rice Steamers Review & Giveaway! As a mom, I find that there is a lot less time in any given day then I would like. With that said, I still like to get a nice meal on the table at dinner time but don't always have all day to be cooking. With Minute Steamers, most of the work is taken care of for me. The newest products from Minute Rice are frozen bags of rice that you can enjoy alone as a side dish or combine with a few simple ingredients to make a quick and easy meal for the family. Minute Steamers are available in 7 different varieties: White Rice, Whole Grain Brown Rice, Whole Grain Brown and Wild with Vegetables, Broccoli and Cheese Rice, Spanish Rice, Fried Rice and Macaroni & Cheese. I had the chance to try a couple of these recently and they were a big hit. I was able to try the White Rice, Macaroni & Cheese and Fried Rice. 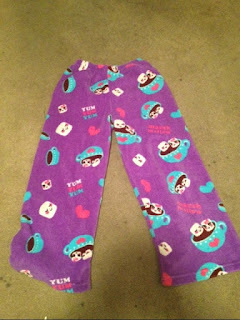 I recently had the chance to review two items from an online store called IScream-Shop. If you are not familiar with them, they are a website filled with creative items mostly geared towards children and teens. They sell candy banks, dry erase boards, loungewear, bags, iPhone cases, bracelets, plush throws, pillows, stickers and much more! Bloggers Wanted! Nook HD+ Slate Giveaway Event! Bloggers Wanted! Get Fit with XBOX Kinect Bundle Giveaway Event! It's a new year! We all could use some cash so enter to win $200 below! Penny Auction $2,024 Jewelry Giveaway! 30 Winners! Bloggers Wanted! Valentine's Day Coachlicious Giveaway Event! Bloggers Wanted! Bamboo Sheet Set Giveaway Event! Dates: January 15, 2012 (why the early posting? I will be out-of-town for a bit, so I am trying to get all my ducks in order)Winner will receive one complete set of these fabulous sheets, valued up to $299 depending on size needed.FREE Facebook Link with announcement post.Additional links are $2 per linkCo-host spots available Hurry over and sign up for this FREE Blogger Opportunity. Bloggers Wanted! Shine Bright Like a Diamond Giveaway Event! Bloggers Wanted! 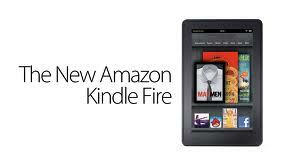 Kindle Fire Giveaway Event! My Four Littles is excited to bring you a Kindle Fire Giveaway!Event Dates: March 1-31, 2013One FREE link with announcement.You can write your own announcement or use the text HERE.Co-host (host page and up to four links): $15Host Pages: $10Additional Links: $2 Daily Votes: $4Referral Prize: Free Co-host.Limited to the first 100 bloggers.Click here to sign up. Seeing Double! Keurig Vue V700 EventHosted by Mom To Bed by 8 and Donna’s Deals and More Brew with a Vue. Keurig has done it again with an entirely new brewing system that gives you more of the tasty beverages you love, exactly the way you want them. Now, you can decide how strong you want your coffee to taste and how hot, no matter how big or small your cup is! From creamy hot chocolate to delicious iced teas and frothy cafe beverages, the Keurig Vue V700 delivers the size, strength, and consistency you love, with every single-serving.